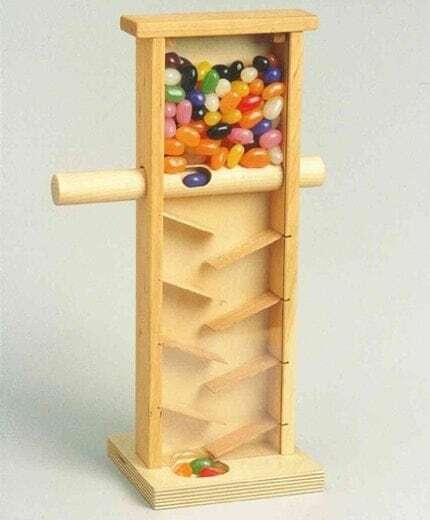 You don't see too much stuff on etsy that is just classic, such as this wooden toy/jelly bean dispenser by Stump Pond Woodworks. I seriously want to buy one of these and bring it to work so I can watch our customers get all excited when they watch the jelly beans fall down its wooden slides. It's much more fun that our current candy offering of peppermints (we actually get reprimanded for the mints since we used to always have something Hershey's). Jelly Beans certainly aren't the greatest candy, but what presentation! I guess you could stick tic tacs in there but tic tacs are kind of gross. This one is called Wilbur Woodpecker, and I had one of these as a kid, except it was a more girly bunny rabbit. 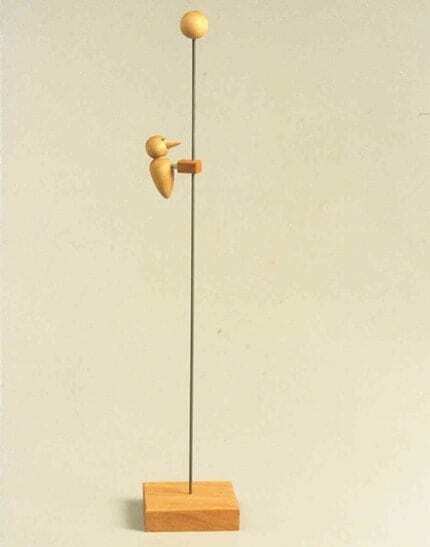 Here you drag the little bird to the top of the pole and let go and then he shimmies down, giving the illusion that he's pecking the pole. Cute and simple, it's a timeless toy that every child should have, and should bring a nostalgic smile to every parent's face. 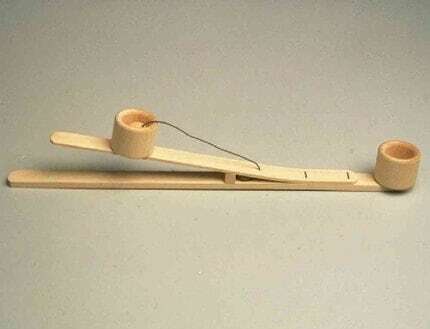 Maybe it's my childhood spent in the country with my grandparents, where there was nothing to do but watch Lawrence Welk or play with hot wheels in the dirt but it doesn't get much better than classic wooden toys like these!